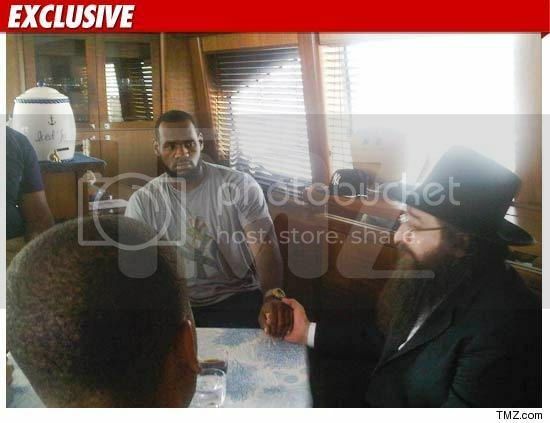 Sources tell TMZ that LeBron James allegedly met with Rabbi Yishayahu Yosef Pinto, the supposed “Rabbi to the Business Stars,” on Tuesday. According to sources involved in the meeting, James hired Rabbi Pinto for spiritual guidance for a “big merchandising meeting” that took place on a private yacht off the coast of New York. Rabbi Pinto speaks only Hebrew, and he is considered a “spiritual guide” who consults on business matters.